Hoodles Childcare has gained a reputation for providing a high standard of healthy meals using quality ingredients. Your child will receive a two course lunch which is prepared by our cook using fresh ingredients on a daily basis. Please see our sample menus below. Vegetarian options and puréed baby food are available as required daily. We are all aware of the importance of diet and exercise to maintain a healthy lifestyle. The children receive a morning and afternoon snack where fresh fruit and/or vegetables are always offered. Examples of snack foods are: cheese, bread sticks, toast, cereal, rice cakes, crackers, pancakes with milk or water to drink. Daily snack menus are displayed on notice boards in your child’s playroom. 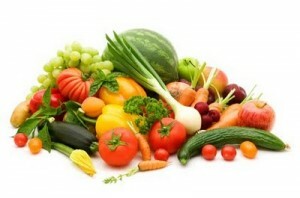 We are all aware of the importance of diet and exercise to maintain a healthy lifestyle.